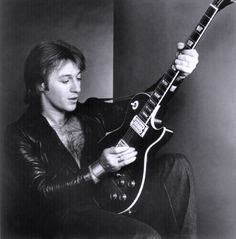 - Born in Montreal as Aldo Caporuscio, Aldo Nova got his start in music rather late, not picking up a guitar until he was 15. 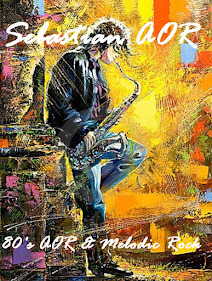 But inspired by the likes of Clapton, Hendrix, and jazz, he immersed himself in the guitar with what would become his characteristic obsessiveness, practising non-stop. - Handled by BLUE ÖYSTER CULT and BLACK SABBATH manager Sandy Pearlman multi instrumentalist and Montreal native ALDO NOVA (real name Aldo Scarporuscio) debuted with an album put together almost entirely by his own efforts. Contributing session musicians for the album, which broke the US Billboad top ten, were bassist Michael Pelo, keyboard player Denis Chartland and drummer Michel LaChapelle. Nova, on tour in America as opener to SAMMY HAGAR, UFO, CHEAP TRICK and BLUE ÖYSTER CULT watched his debut album soar into the American charts boosted by the top thirty single 'Fantasy'. Nova also contributed songwriting and sessions to BLUE ÖYSTER CULT's 1983 record 'The Revolution By Night' and LITA FORD's 1984 'Dancing On The Edge'. Nova also paid back some favours to his engineers Tony Bongiovi and Barry Bongiovi by appearing on ORPHAN's 1985 record and helping out a family member with his new act BON JOVI. This was one favour that would help Nova considerably in his later career. The second album, a loose conceptual piece titled 'Subject', found veteran drummers JET RED's Billy Carmassi and RAINBOW and HALL & OATES skinsman Chuck Burgi contributing. Kevin Carlson adds guitar and bass is courtesy of a pre BOSTON and GIUFFRIA David Sikes, BLACKJACK and MEAT LOAF man Steve Buslowe and Neal Jason. 1983's 'Twitch' has no less a figure than MICHAEL BOLTON on backing vocals as well as Fiona Flanagan (better known as FIONA), later to become a star in her own right as FIONA. BALANCE's Peppy Castro also contributes. Anton Fig, known for his KISS sessions, provides the drums along with ALICE COOPER man Allan Schwartzberg whilst guitars come from Lennie Petze and Paul Kayan. Nova backed out of the limelight for many years although he did add guitar to JON BON JOVI's 'Blaze Of Glory' solo album and APRIL WINE guitarist BRIAN GREENWAY's 'Serious Business' in 1988. Paradoxically Nova's ensuing years spent in legal wrangling with his former record company were to be the man's most successful as he nurtured as producer and songwriter the Canadian Pop songstress CELINE DION! Nova made a return in 1991 at the instigation of JON BON JOVI for the 'Blood On The Bricks' album. The album saw contributions from guitarist Steve Segal, JOURNEY bassist Randy Jackson, keyboard player Greg Mathieson and drummer Kenny Aronoff. Segal later joined APRIL WINE. Of note would be track 'Hey Ronnie (Veronica's Song)', re-worked by MESSAGE and re-branded 'Hey Johnny' included on their 1998 ALDO NOVA co-produced album 'Fine Line'. Nova put down guitar on JON BON JOVI's 'Destination Anywhere' solo album and also issued his next album, the eclectic 'Nova's Dream'. The record found the man in adventurous mood featuring Indian instruments, African voices and Gregorian chanting. Family members Layla, Matthew and Nancy also aided. 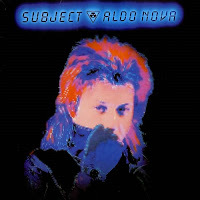 - Aldo Nova (born Aldo Caporuscio on November 13, 1956) is a Canadian guitarist, keyboardist, vocalist, songwriter, and producer. 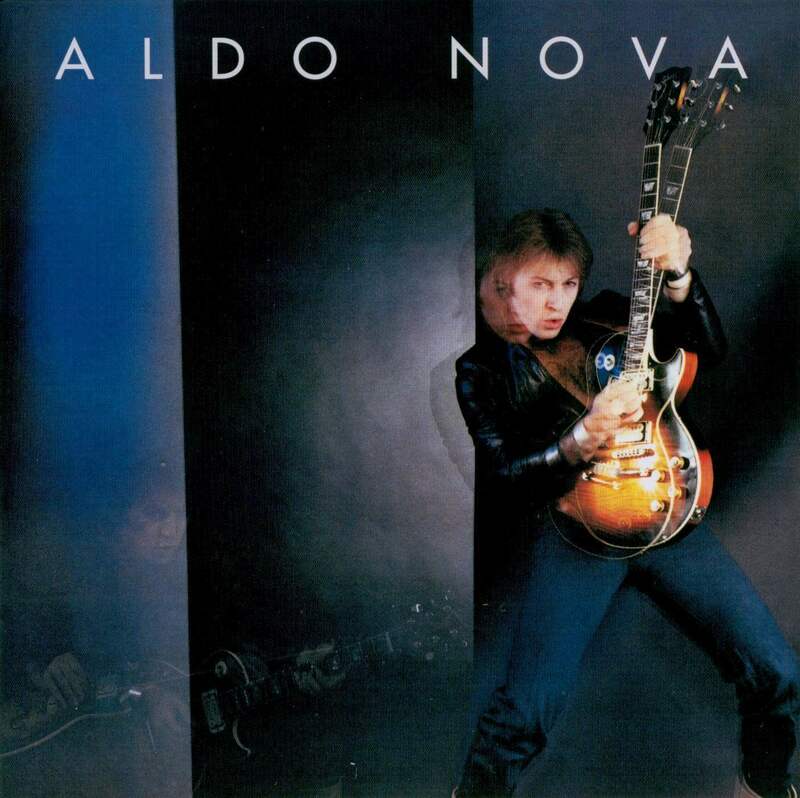 Nova initially gained fame with his self-titled debut album Aldo Nova in 1982 which climbed to Billboard's number 8 position, and its accompanying single, "Fantasy," which climbed to number 23 on the Billboard Hot 100. 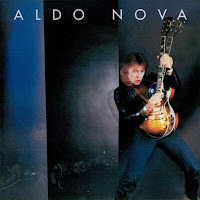 Signing with Portrait Records, Nova released a self-produced album Aldo Nova in 1982 that had two singles: "Fantasy" and "Foolin' Yourself". His second album Subject...Aldo Nova from 1983 had two singles: "Monkey on Your Back" and "Always Be Mine". His third album Twitch from 1985 had two singles: "Rumours of You" and "Tonite (Lift Me Up)". Nova was displeased with the album and the record company's insistence on making a more commercial album. After supporting the Twitch album Nova asked to be released from his contract, which the record company would not do. Nova decided to move to Montreal and work on jingles, waiting for his contract to expire in 1991, stating he would not work on an album he didn't have full creative control over. 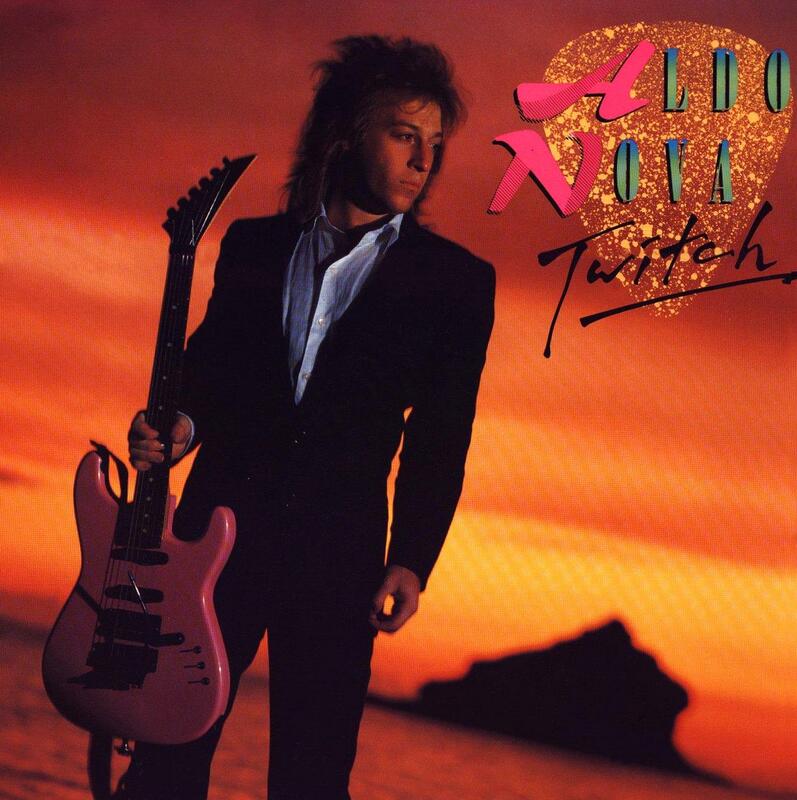 In 1990, Aldo Nova wrote the main guitar riff that would be used in the Jon Bon Jovi song "Blaze Of Glory". In 1991, to return the favour, Bon Jovi worked with Nova on his Jambco Records (Jon Bon Jovi's label) release Blood on the Bricks. It had three singles: "Blood on the Bricks", "Medicine Man", and "Someday". In addition, he produced some early Celine Dion albums. He co-wrote the hit song, "A New Day Has Come" for Dion, and has been featured playing guitar, synthesizer, and percussion on her records. He also wrote her songs "Your Light" and "I Can't Fight the Feelin'", "You and I" (which was used as Hillary Clinton's Campaign song and as the Air Canada theme song). He co-wrote the Blue Öyster Cult song "Take Me Away". As a songwriter, Nova's hits include Clay Aiken's "This Is The Night" (co-written with Chris Braide and Gary Burr), which in the US was a number one hit and the best selling single of 2003. He was also the only writer to have written or co-written 5 songs on Celine Dion's Taking Chances album.